"Breaking Bad" Star Anna Gunn Shows Off New Look! "Breaking Bad" star Anna Gunn hit the red carpet last night in Los Angeles (right), looking very different than she did a year ago while filming the hit AMC show (left). With a tan, longer hair, sexier makeup and a very slim physique, it's clear Anna is distancing herself from her Emmy award-winning role as a TV mom. The 45-year-old actress recently opened up about her weight loss, saying she was "ill" while filming the beloved drama and "puffed up" after doctors gave her cortisone. She says that she now keeps in shape by doing pilates and running around after her two children. Prepare to see more of Gunn on the small screen in the near-future. She was just cast in Fox's American remake of BBC's "Broadchurch" called "Gracepoint." What do you think of Gunn's vampy new look?! 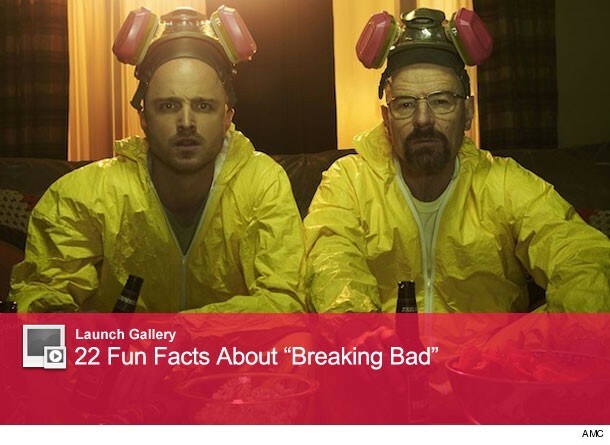 22 Things You Never Knew About "Breaking Bad"